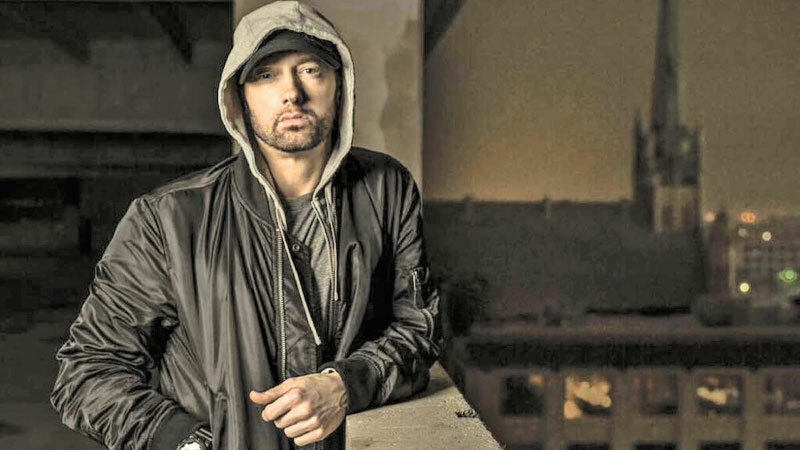 Eminem’s surprise album Kamikaze is flying towards the Number 1 spot on this week’s Official Albums Chart, putting the US rapper on track to make UK Official Chart history on Friday. In today’s Official Chart Update, Kamikaze has a substantial lead over the competition, some 20,000 combined chart sales ahead of Slim Shady’s nearest competition. 60% of the album’s sales tally is digital downloads, with the rest made up of streaming equivalent sales. Kamikaze is not currently available on physical formats. Should Eminem hold onto the top spot until Friday, Kamikaze will be his ninth consecutive UK Number 1 album, and break the record for the most consecutive chart toppers that he currently holds with Led Zeppelin and ABBA. Following the critical acclaim of their debut album Brutality from 2017, Idles are on course for their first UK Top 40 entry this week, and a Top 3 position to boot. Sophomore album Joy as an Act of Resistance is new at Number 2. Passenger is also new in today’s sales flash Top 5; Runaway, his eighth studio album, occupies the midweek Number 5 slot, and could mark his fifth Top 5 appearance later this week. Also in the Top 10, The Kooks sit at Number 7 with Let’s Go Sunshine, while Troye Sivan is on the cusp of collecting his second UK Top 10 album with Bloom (8). Collabro’s Road to the Royal Albert Hall (11), Hunter by Anna Calvi (12), and Emma Blackery’s Villains are looking set for Top 20 placings, as are Why Don’t We’s debut set 8 Letters (16), The Pineapple Thief’s Dissolution (18), and Evolution by pianist Alexis Ffrench (20). Soundtrack album Kin to the sci-fi movie of the same name by Scottish group Mogwai is new at 24 at the midway stage of the week, US punk outfit Alkaline Trio begin at Number 27 with Is This Thing Cursed, and A Paranormal Evening At The Olympia Paris, Alice Cooper’s new live album is not far behind at Number 31. Unattended Luggage by Nick Mason lands at 36, while the self-titled debut album from Nashville star Clare Bowen is at 39. Finally, the last set of Pet Shop Boys’ Catalogue series of album reissues hit the Official Albums Chart Update. Behaviour is at Number 28, Very at 32 and Bilingual is at 35.